It is expected that the blockchain tech solution will expand to more clients in the country soon. According to a recent report, a Korean-based company that provides its client with tech solutions and research data is collaborating with two local companies to introduce and provide blockchain-based authentication technology in Malaysia and across the region. The Tripartite Agreement will see one of the firms act as its Solution Consultant and Architect while the other as its Relationship Consultant in Malaysia. The blockchain technology is said to be an undeniably ingenious invention by a group of people and since then, has evolved into something greater. By allowing digital information to be distributed but not copied, blockchain technology created the backbone of a new type of Internet. The Group Principal IT Consultant of the second explains that as consumers eagerly await the rollout of the next generation 5G mobile network that promises faster speed, better coverage, and more responsive connections, there will be a substantial increase in the deployment of online services and applications. He stated that, however, there are also increases in cybercrimes as criminals take advantage of the relative ease of gaining unauthorised access to online personal accounts either through hacking, deception, phishing, or simply buying accounts together with the passwords from the Internet. A new authentication solution is therefore required that will address the weaknesses of current authentication systems and equally simple to use. The Korean company has developed a multi-factor authentication solution that is based on blockchain technology which does not require the use of a password and is said to be equally or if not more secure. The Guardian-CCS authentication solution uses the unique identification of mobile devices to create one-time security keys that are validated by multiple remote users. Extremely secure and almost impenetrable, the Guardian-CCS authentication solution represents the next step in securing online businesses. 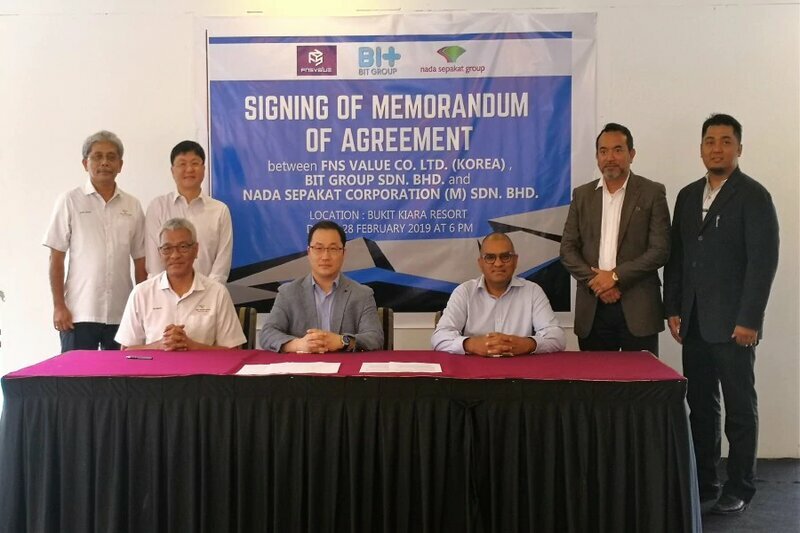 At the Memorandum of Agreement signing ceremony between the parties held recently here, the Chief Executive Officer of the Korean company expressed confidence in the Malaysian partners to provide necessary technical support and promotions to its clients. On the progress made so far, that Group Advisor for that multi-corporation group, added that the product has been presented to the major banks and has received the overwhelming appreciation of its value. Plans are also afoot to expand the Guardian-CCS authentication solution to clients in the region soon. According to another report, the blockchain IoT market is projected to be valued at US$3,021 million by 2024 from US&113.1 million in 2019; it is expected to grow at a CAGR of 92.92%. Major factors driving the market growth are increasing adoption of IoT, the growing need for IoT security, simplifying business processes and affording transparency and immutability, and increasing focus on operational efficiency. In addition, underlying opportunities for the blockchain IoT market include higher adoption of blockchain solutions for smart contracts and digital identity and rising government initiatives. Major barriers for the market are uncertain regulatory status and higher latency with an increase in the number of nodes. APAC is expected to be the largest blockchain IoT market during the forecast period; this includes Malaysia.